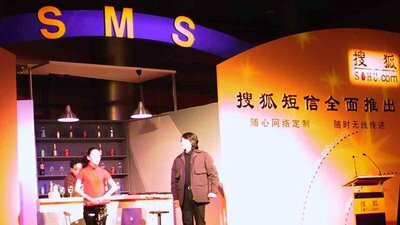 Above: One of China's top portals, Sohu.com promoting SMS text messaging services in Beijing, January 2001. Photo gallery below. A: Creativity is ability to choose between right and wrong. That was the answer by a Chinese university student, shown on China Central TV. Not a word about imagination or new ideas. But let’s not jump to conclusion. 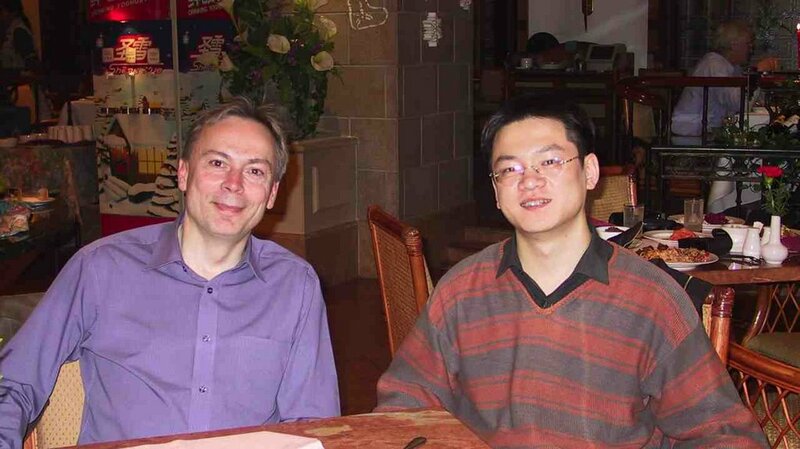 Beijing, May 1999. 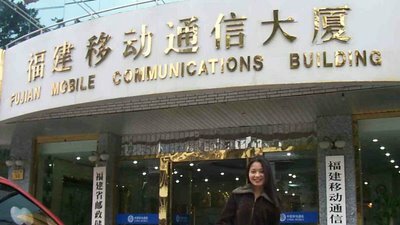 I started my second project in China (first had been PrePaid Project which ended with launch of China's first PrePaid service and SIMcard package). The goal was to reach markets that didn't exist yet, i.e. market making, to activate SMS text messaging business in China. Market share. SMS was already popular in Europe but not much known outside. Nokia China wanted to activate SMS texting as the second mobile service after “voice” in China. And with SMS to raise Nokia's market share in China. My SMS Market-Making Project had to succeed, cost was not limited. It took 1,5 years till the end of 2000. Challenge: To enable new method for communication, texting, in China. 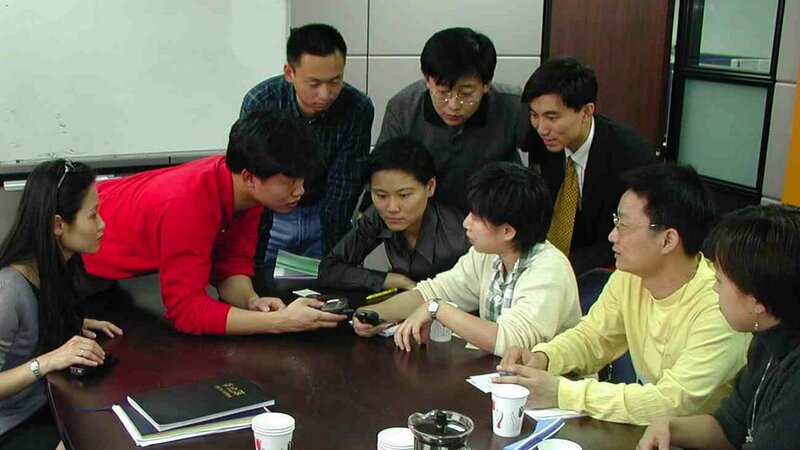 Back in 1999 China had only 0,5 million Internet users but 10 million GSM mobile phone users. Motorola's pagers were common. For China Mobile and China Unicom SMS Market-Making Project aimed to generate more money from their fast growing mobile subscriber bases. For portals and developers SMS would enable the ecosystem and partnerships by linking Internet content into mobile. 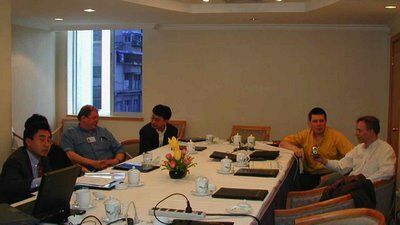 meeting in Beijing. Back, right. I soon realized that activating SMS in China was not going to be easy and straightforward project. Actually, Chinese approach towards SMS was understandable. SMS was not only a new technology but it was about communication and content. Sensitive issues to decide in China's tradition. Another view, back then Motorola was the mobile phone market leader in China, and they didn't have SMS user interface in their phones. Nokia had UI, and it was good. Chinese Internet portals Sohu.com, Sina.com, Netease.com, and some sport portals had a lot of aggregated content but they were not interested in SMS texting. Internet on your palm and WAP browsing hype was strong. Portals saw WAP based Internet browsing as new channel for their aggregated content. They also knew about SMS is never for China thinking. And SMS was just a short message. I offered key Chinese portals WAP technical and user interface trainings. But before that they should take small effort to learn and understand SMS, and develop simple SMS services in our Beijing lab. Many portals agreed and we got step forward. Left: Testing SMS and WAP at Sohu.com in Beijing. Technical learning was fast. Soon SMS tests were made in Nokia Beijing HePingLi Lab. When Chinese Internet portals learned about text messaging, phones begun to beep. Their curiosity won and word went around. We provided them European SMS success stories to study about and they liked it. China Mobile accepted technical trial to connect SMSC element into mobile network for Internet content. Many twists and turns followed as Chinese wanted to standardize SMS services and introduced complex and cumbersome rules which almost managed to kill interest onto SMS. Goal of SMS Market-Making Project was to initiate and activate ecosystem by training developers, by promoting partnerships between developers and portals, by training the portals, by technically linking internet into operators' mobile network by adding network elements for SMS service. Revenue sharing was a great challenge as mobile operators wanted 100%, no less, of the SMS business. For China Mobile and China Unicom SMS meant more revenue from their fast growing subscriber base. 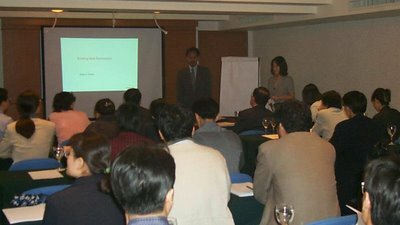 In all, technical part of SMS was easy but there was a long list of other topics to learn. Discussions were whether official multimedia bureaus, small companies, or maybe big private software companies would be the best partners. Guanxi, of course, was part of partner selections, but control was the most essential aspect. Marketing, partnerships, product management and business related issues were all new in Chinese market economy. Chinese often interpreted and defined new business topics/words in their own way, which then took some extra time in communication. There were cases when Chinese needed to compose new words to describe above issues and new SMS services. Since China is as large as USA or Europe and Chinese organizations are big, a lot of confusion was the reality. Repetition was a must. 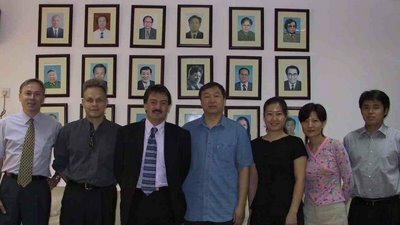 Left: PT/EXPO Comm China in Beijing. We introduced mobile services and SMS service examples to both mobile operators in 15 Chinese provinces, about half of China. Roadshows took over three months continuous traveling. Meetings were arranged in province capital cities separately with China Mobile and China Unicom province headquarters. 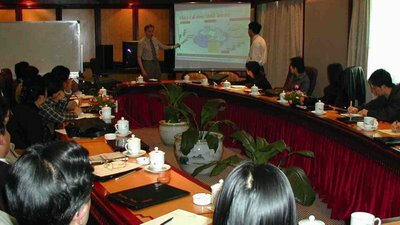 Every week trip to new Chinese province and capital city to have meetings with China Mobile and China Unicom: presentations, MoU introduction and signing, dinners. Also meetings with multimedia developers and multimedia-minded state representatives. Everybody was eager to learn technical part of the new SMS service. But often their expectations were more on WAP browsing, but SMS awareness and learning happened. We prepared a MoU document for partnership. MoU was also a tool to introduce new terminology and the business opportunity to provincial operators and content portals. During the meetings I proposed signing a 3-party MoU: mobile operator, Nokia, and content portal. Intent, testing, trials, partnership, revenue sharing. With MoU we raised awareness, provincial mobile operators were hungry for new revenue stream. They wanted to understand responsibilities, terminology and the service business, described in the MoU document. MoU topics needed to be clarified and we had good discussions about enabling middleware, value-added services, developers, APPs needs and the service business. Several tens 3-party MoUs were signed. Connection between internet and mobile network was not simple decision since SMS text messaging was new to both ministry and mobile operators. They where driven by control rather than rational business decisions. Finally trial connection was established and internet portals understood the SMS opportunity. Breakthrough came during Sydney Olympics Games 2000 with a Chinese idea. Chinese dotcoms knew SMS and made a smart offer to send good news text messages to mobile phones when Chinese athletics won medals. Phone number registration via web was needed. China Mobile accepted the idea and good news SMS started to peep-peep in tens of thousands handsets. SMS-based good news text messages became an eye-opening success. Chinese dotcoms probably got never paid for their idea and service. But suddenly everyone was eager, ready and willing to take more business opportunities with SMS texting. China's decision to start SMS with very low tariff made it match for mass market. Later the tariff for MMS was set high and service became a flop: my recommendation for MMS tariff was 0,5RMB but much higher value was set without proper arguments. Fast growing mobile subscriber base opened opportunities for new developer companies, hundreds of them, to start business with SMS ideas, content and games. I saw a Chinese water-colour painting, hills covered by mist. My Chinese friend told me the painting was creative. I asked him to tell more. He explained: "It's that mist. You can imagine anything you like since there is the mist. Your creativity is enabled by that mist. Think of the difference between Chinese water-colour and European oil paintings". In case of SMS texting, Europeans might call Chinese creative choice as rational business choice. But creativity, the mist factor, was there when SMS was activated. Chinese student on CCTV didn't have it all wrong. Behind the mist was a pandora, choice, decision, function. SMS begun in China and gave the birth to creative industry of Chinese developers and service providers. Project took 1,5 years, till the end of 2000. 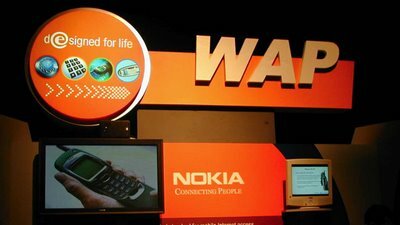 It achieved all its targets: Chinese got new way to communicate, and Nokia which had phone portfolio with the best texting UI of all phones in the market, got more market share. SMS became a real sales boost and phones/networks market share upgrade for Nokia China. 15 years later Nokia Mobile Phones is history. China's SMS text messaging is going down. SMS is dying, replaced by much cheaper mobile data. Now smart phones in Chinese hands use WeChat, Weixin for messaging, games, fitness, music, wallet, redbags, for community awareness and the discussion topics. And sales. WeChat has sophisticated features for communication, and linked side APPs. Tech keeps coming closer and closer. For 15 years SMS was the low-cost method for communication, the beginning. It was a crucial tool to boost China's raise and change. Now it's becoming outdated. Project took 12 months in 1998-1999. This was my first project in China after moving from Helsinki to Beijing. Challenge: to enable anonymous mobile communication in China. China's first PrePaid system and service project took a year. Project ended with capabilities demo session at Beijing Mobile (BMCC) data center in XiDan, to China Mobile and Nokia China management. For the project I established a new IN (Intelligent Networks) group. Good persons into the team. PrePaid service was based on Nokia Network's IN system which had been delivered to Beijing Mobile's (BMCC) XiDan Data Center for trialing purposes. With my new team I had weekly meetings and seminars with BMCC's personnel. Open issues became action points and cleared in a flow. BMCC had to do many decisions and choices to enable PrePaid service. With information we helped BMCC to win their hesitation. Hundreds of choices and decisions related to the system were difficult for Beijing Mobile personnel because their culture didn't tolerate mistakes. Impact of everything had to be understood before acceptance. 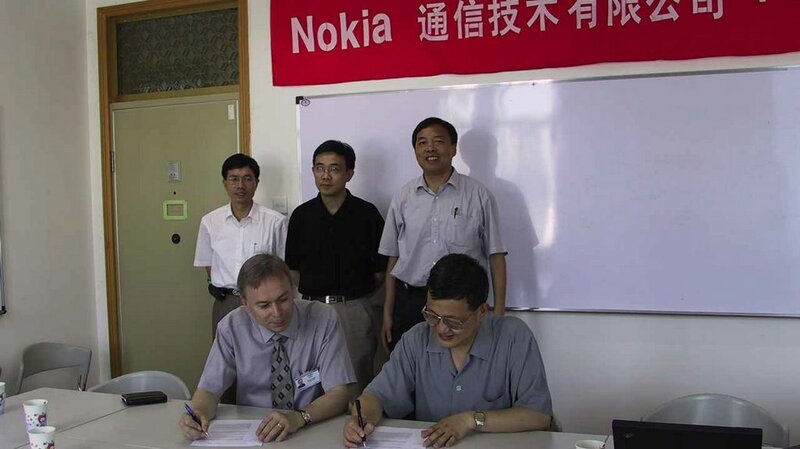 At Nokia China we worked under time pressure. Everybody was very busy. 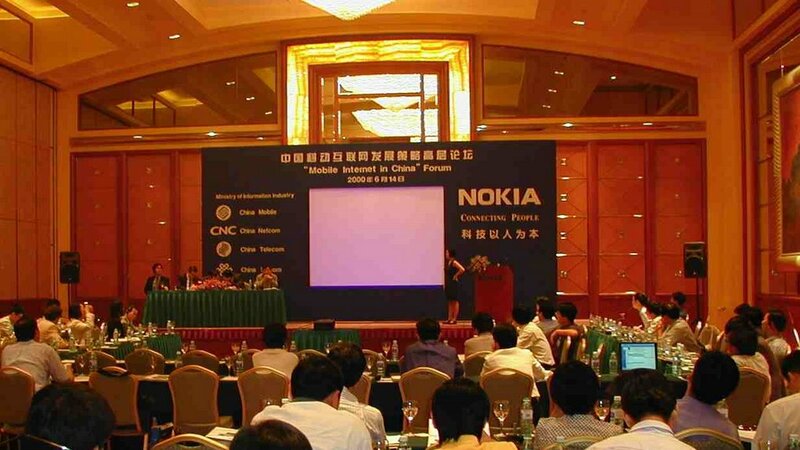 At Nokia my China IN Group processed every detail that Beijing Mobile asked or requested from us. 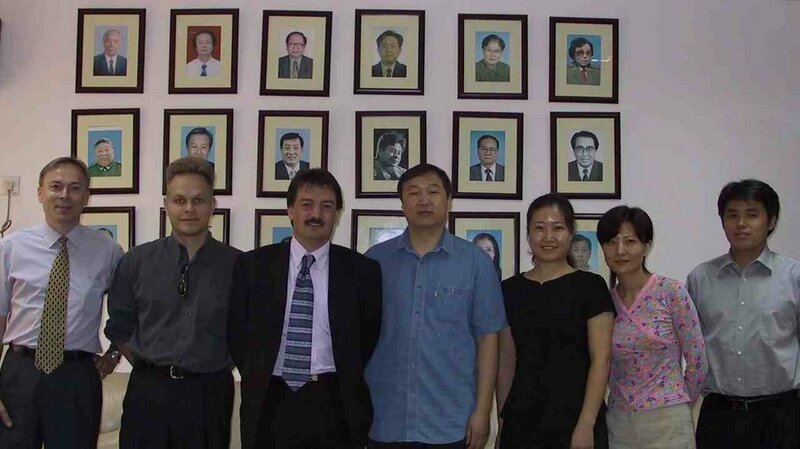 I asked our specialists from Finland to help and many persons visited Beijing, several times. Their support was essential in making the system functional. Nokia China's President Folke Ahlbäck followed Prepaid Project and I frequently updated him about the progress in GuoSiJuLeBo, International Club Office. 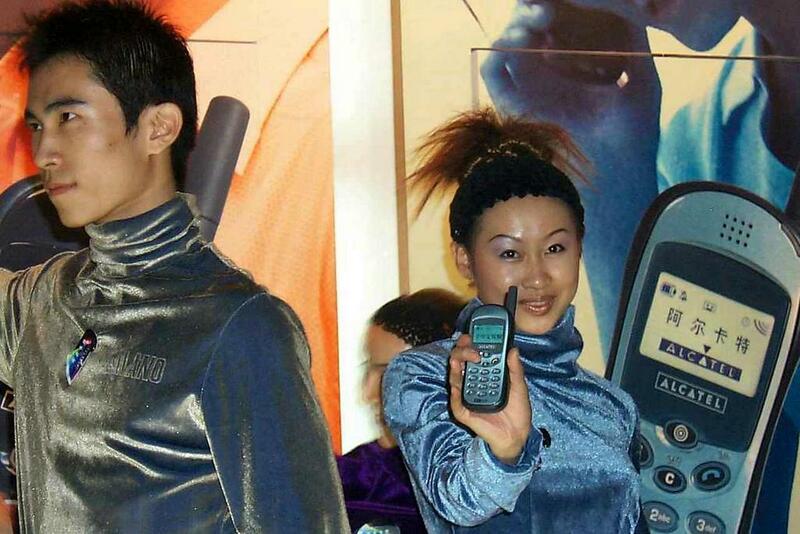 Left: China's first PrePaid package had 300RMB value SIMcard. A year later PrePaid enablers and rules were ready and set. PrePaid packages were given to China Mobile (CMCC) HQs, Beijing Mobile (BMCC) management and leaders, and Nokia China management. My PrePaid package is still unused. Nokia Network's PrePaid system was based on standards and there was no willingness to make non-standard add-ons to it. Chinese Huawei was willing to fulfil all requirements which were set for Chinese PrePaid system. Huawei won and delivered major part to Chinese operators. 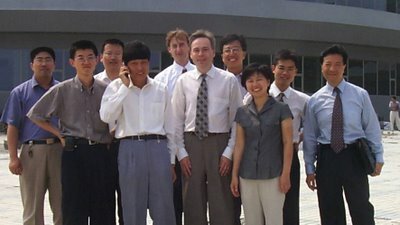 Siemens won a role in Chinese PrePaid with their partly tailor-made solution. But for the history books, Nokia China was the first to deliver and activate PrePaid service in China. 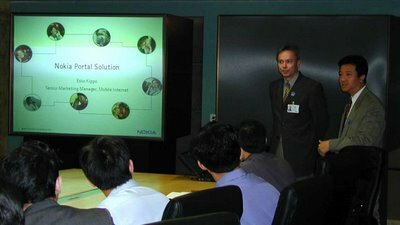 Nokia's PrePaid Project included educational consulting. 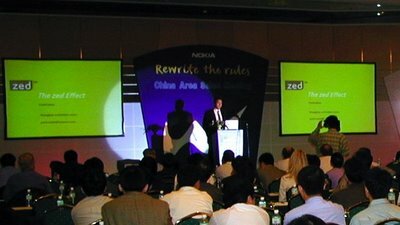 Nokia China's PrePaid Project resulted major boost to our competitors which provided the needed network elements to provinces. In mobile phones market, every vendor benefitted about PrePaid services. But Nokia China with its wide portfolio of phones on offer, benefited the most. PrePaid also boosted Nokia Networks infra sales. More users needed more networks. Project took 12 months in 1998-1999. Beijing Mobile had smart people and we all worked hard to make this happen. 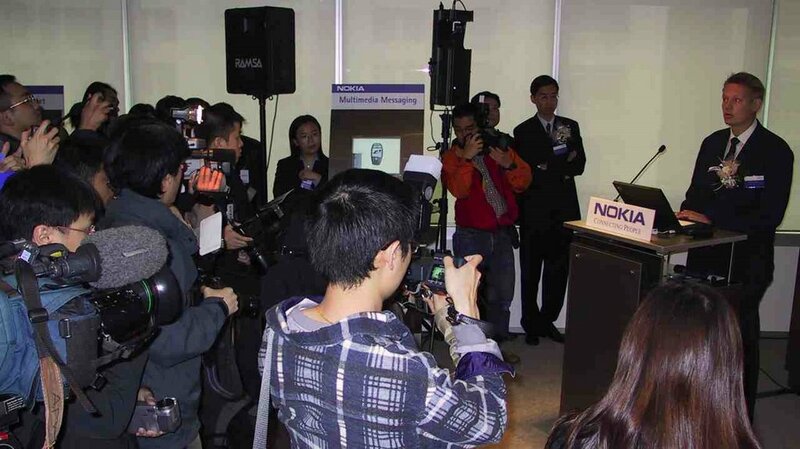 Project ended with capabilities demo to Beijing Mobile and Nokia China management, followed by commercial closure. 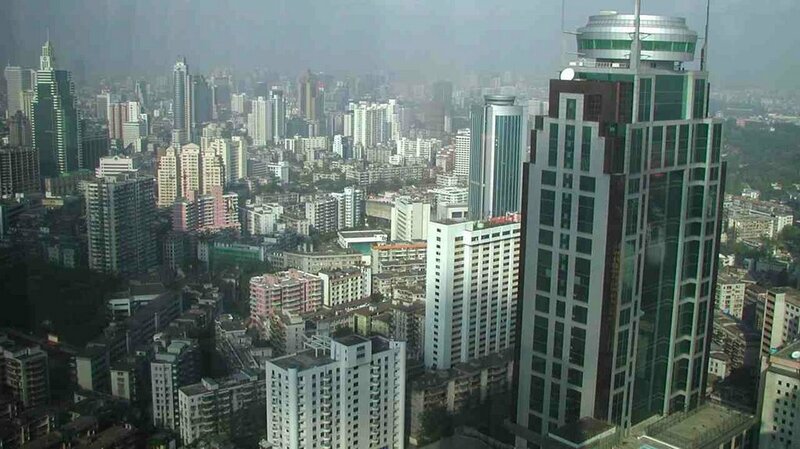 Soon after, Siemens won major role in Chinese prepaid market with their tailor-made solution. 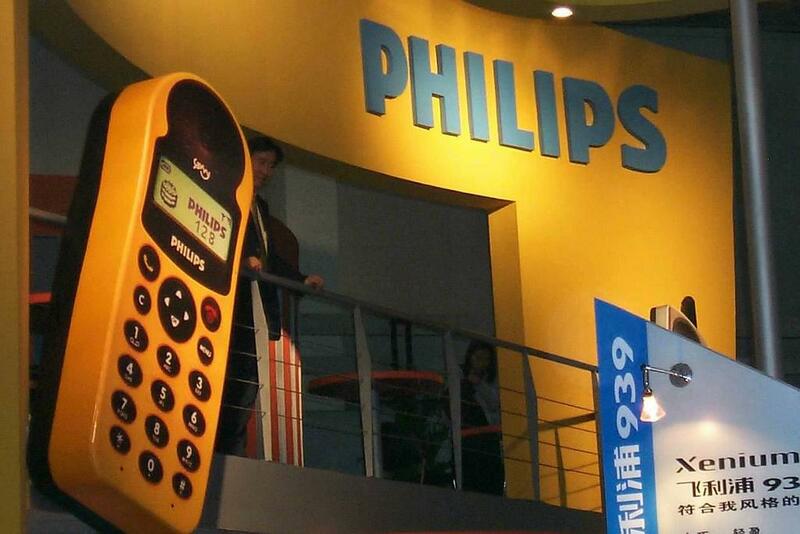 Nokia's solution was strictly standards-based and Nokia was not willing to modify. Below pictures are from 1999-2001. My first digicam was Kodak DC260 with 1,6 megapix and zoom. Back then Chinese PPTs were sometimes colorful but using real images of people/places in PPTs was choking new. 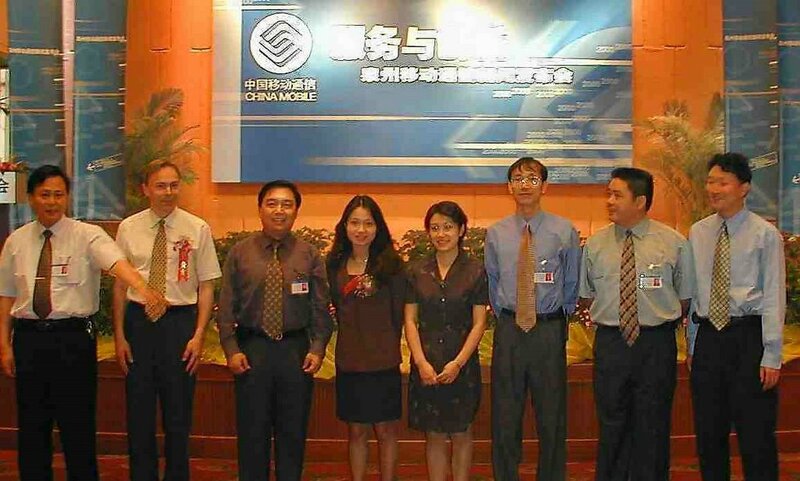 Above-1: 13th May 1999, China Mobile's branch Beijing Mobile, BMCC, XiDan data center. Celebration of my first project in Nokia China: PrePaid. In China, red envelope usually contains money. 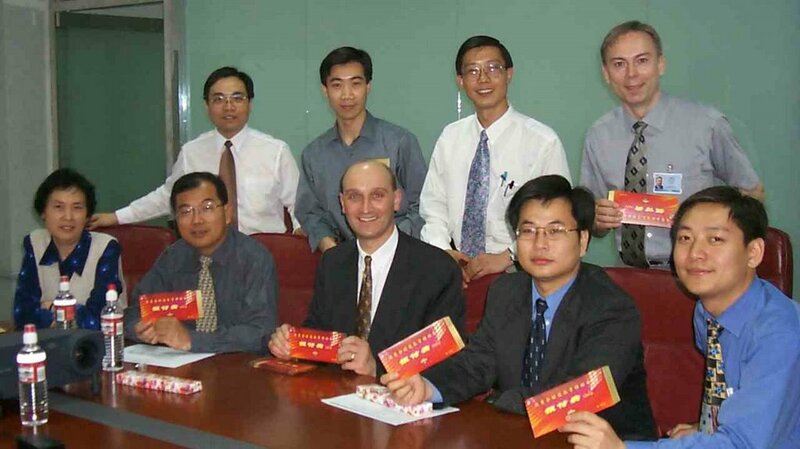 But in these we have China's first PrePaid simcards. 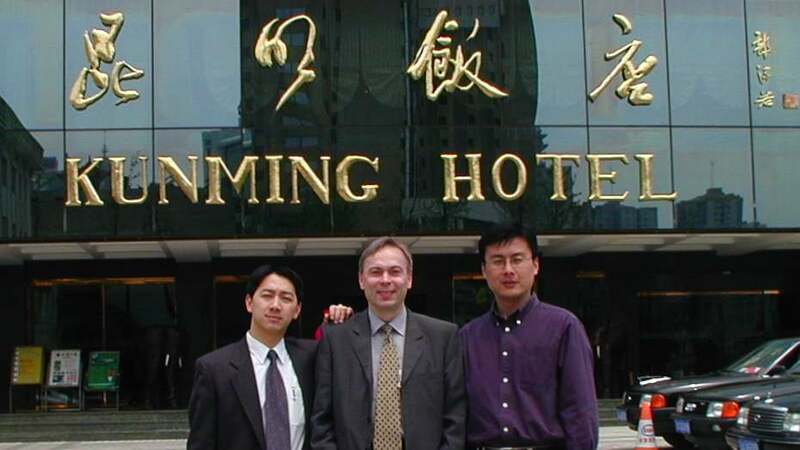 In the middle Nokia China VP Arnold Malcolm, I'm in back, right. Above-2: March 2000, Beijing. China Mobile SMS/WAP services launch event. Beijing Mobile's Kong Wen having a presentation. Above-3: June 14th 2000, WTC, Beijing. 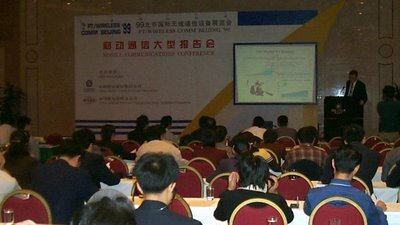 "Mobile Internet in China" forum. Above-4: June 14th 2000, WTC, Beijing. "Mobile Internet in China" forum, presentation by Duncan Clark, head of BDA China. Above-5: June 14th 2000, WTC, Beijing. 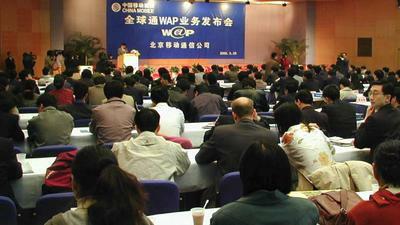 "Mobile Internet in China" forum. During presentations Nokia China VP C.J. Liu was interviewed. Above-6: May 24th 2000 at China Mobile in Guangzhou, GMCC. My presentation was about mobile services and content distribution, and importance of active Chinese developer community. 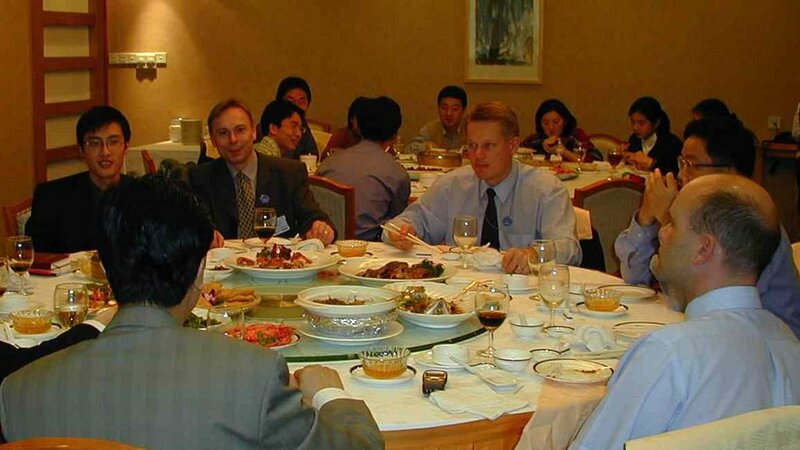 Above-7: May 24th 2000, dinner with China Mobile in Guangzhou. Monternet, brand for mobile Internet services, was very new. Above-8: May 2000, Guangzhou International Hotel. View from 60th floor over city jungle. 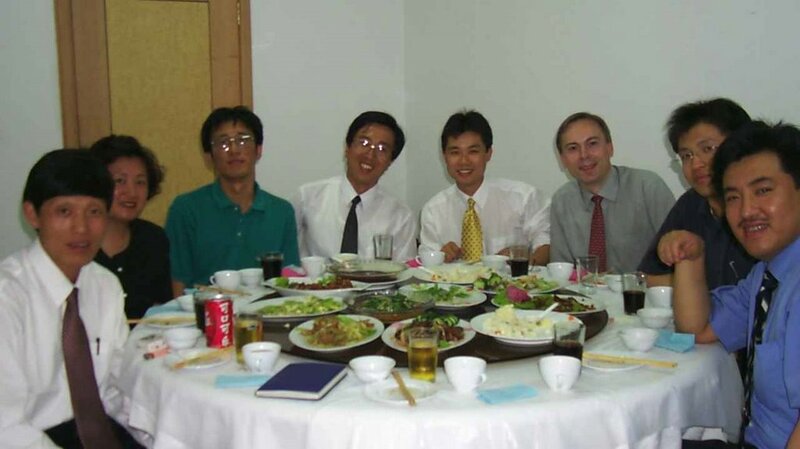 Above-9: May 2000, Hefei, Anhui Province. 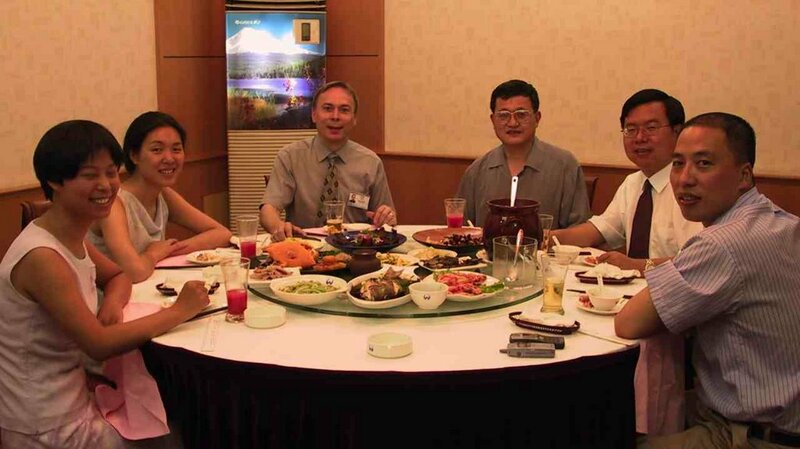 Meeting and dinner with China Unicom. Above-10: May 2000, Hefei in Anhui province. Dinner with China Unicom, handshakes with China Unicom's representative and Elaine Feng from Sohu. 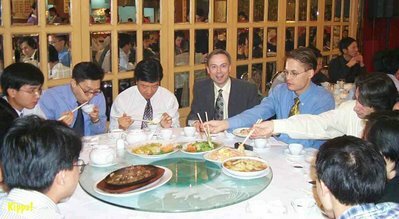 Above-11: March 2000, Beijing. A media event. 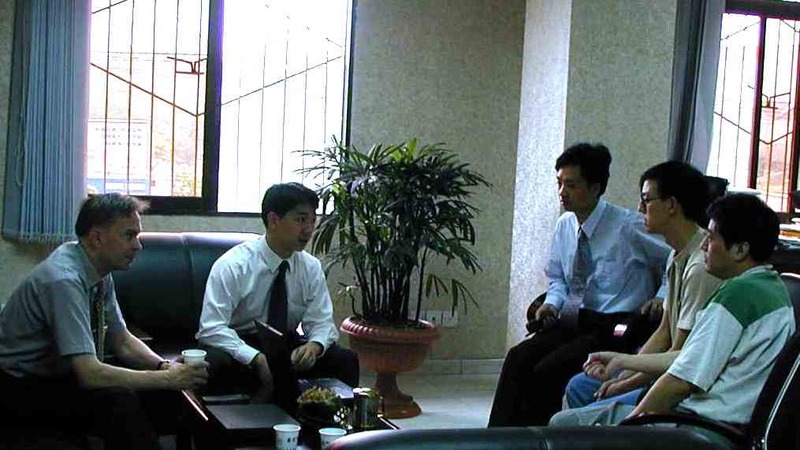 Charles Zhang, CEO of Sohu (left) and C.J. Liu, VP of Nokia China. Above-12: Meeting at Sohu.com, Beijing JianGuoMenNei office. These are real first moments of mobile services via live network in China. Above-13: January 2001, Beijing. CEO of Sohu.com Charles Zhang, Victor Koo and team open SMS services event. 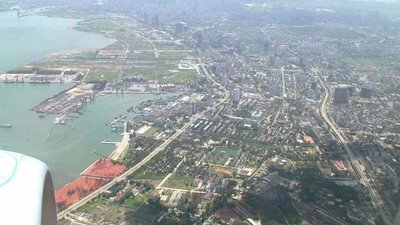 Above-15: May 2000, Xiamen. Fun during team dinner. These people come from four countries. BeijingMan third from left. Above-16: May 17th 2000, Xiamen. Telecoms Day celebrations. 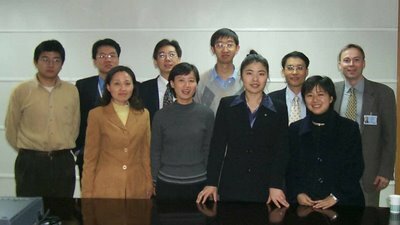 Sohu's Elaine Feng on the left. Above-17: May 2000, view over Xiamen city. 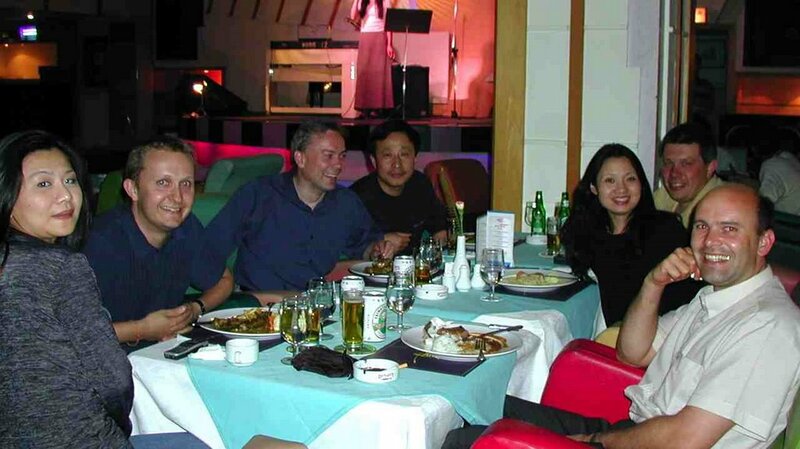 Above-18: September 2000, Beijing. 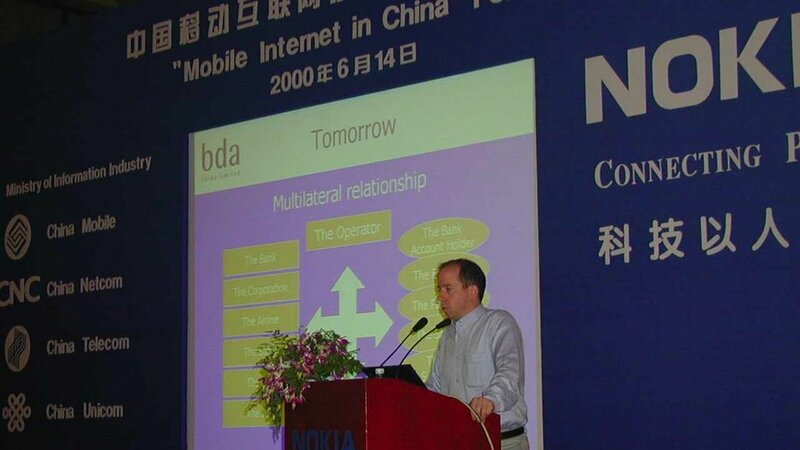 Roger G. Pineda from Sonera gave presentation to China Mobile. Topic: how to make more business with large and growing subscriber base. At any rate, top presentation, to the point. Above-19: November 1999, Kunlun Hotel, Beijing. PT/Wireless'99 Conference was the main event of 1999, organized alongside the telecomm exhibition. Above-20: November 1999, Kunlun Hotel, Beijing. 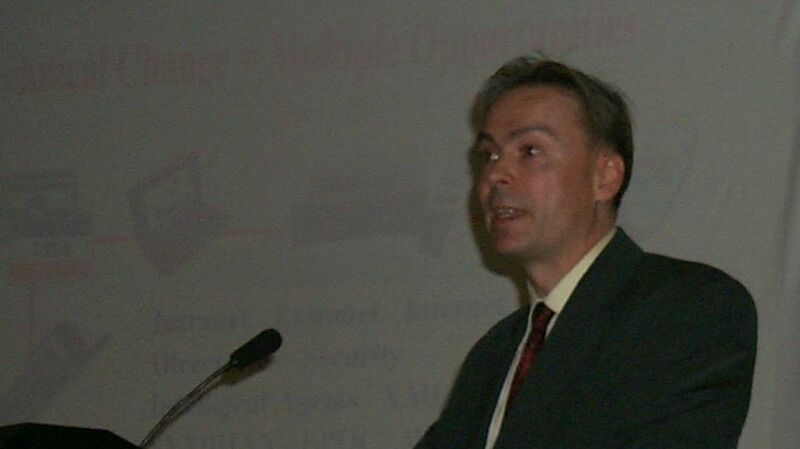 Presentation at PT/Wireless'99 Conference. BENEFITS OF PARTNERSHIPS. At PT/Wireless'99 Conference my presentation was about benefits of partnerships, content and operator, Internet and mobile network, within the value chain, win-win-win principle which means growing faster together. Value chain and partnering was new in China, with big Chinese question why to share. I also introduced pre-launch/after-launch procedures and service product management/life cycles with examples from European markets. Above-21: January 2000, Beijing. 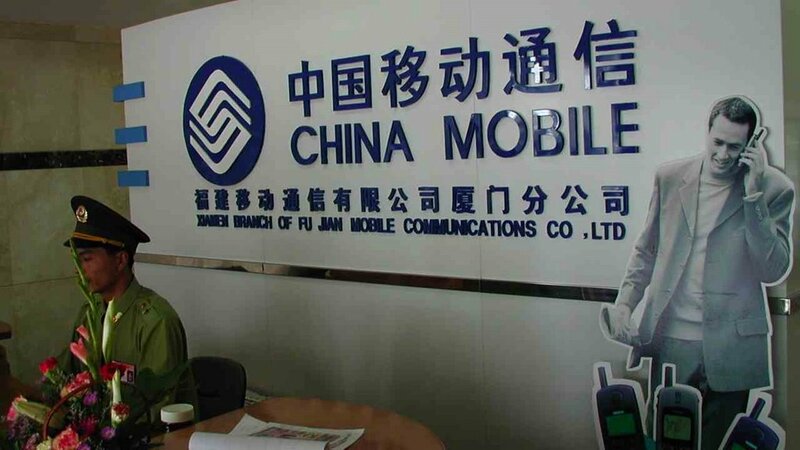 We had meetings about mobile services with China Mobile HQ, CMCC, in western ring-2 office. Above-22: December 9th 2000, Beijing. With Victor Huang from CHINAdotcom. Wi-Fi or 3G, that was the question! Victor went to WiFi. Above-23: March 17th 2000, Shanghai, China Unicom Tower. After meeting about mobile service enablers. 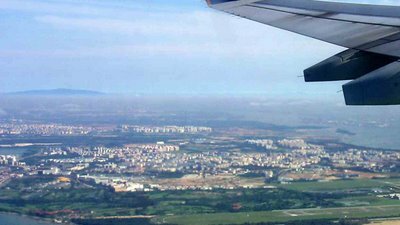 Above-24: June 2000 Kunming, famous Spring city, Yunnan Province near Vietnam. Nokia office was in this low building in city center. 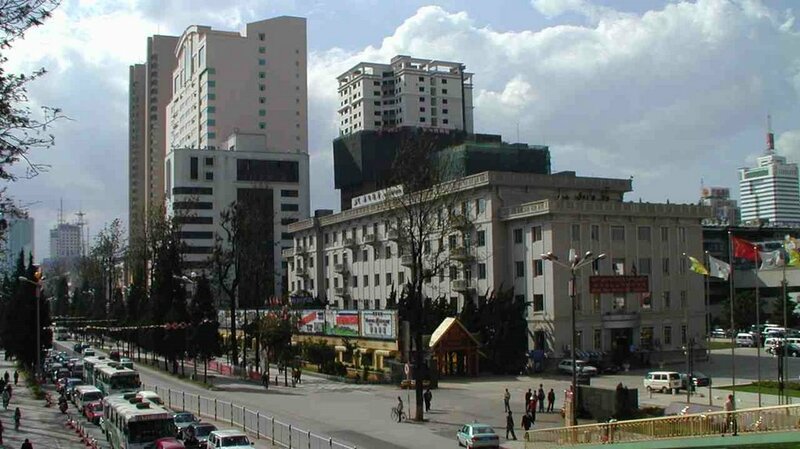 Kunming has 3-4 million people, Yunnan Province about 40 million people. 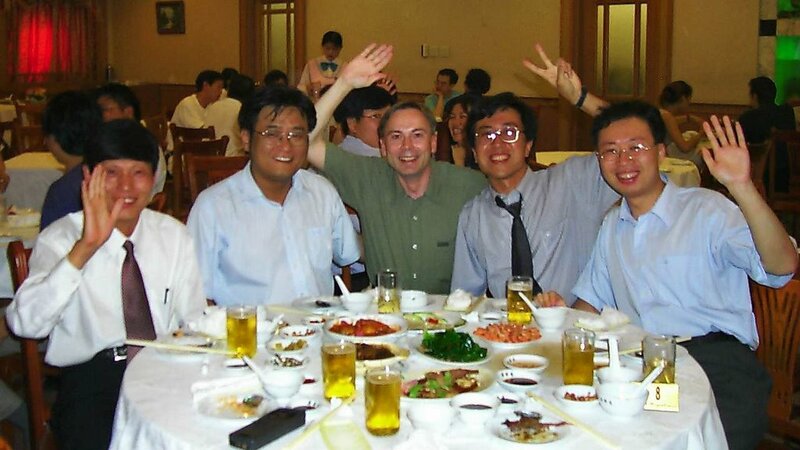 Above-25: June 2000, Kunming, Yunnan Province. Before customer meetings we usually had a get-prepared meeting. Here we are in Nokia Kunming office. Left side, in blue, is legendary Nokia China person Tuure Vilppola. I am at right. 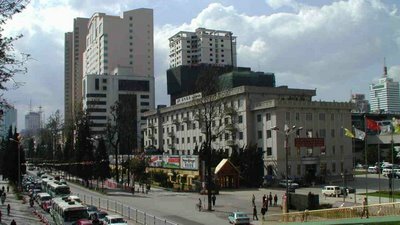 Above-26: June 2000, Kunming, Yunnan Province. Presentation during meeting with mobile operator. These were active people and made good questions. Above-27: June 2000. In front of Kunming Hotel with Sohu.com guys. 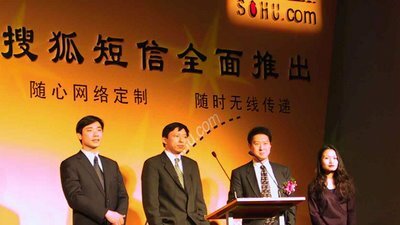 Sohu had plenty of Internet content for mobile phones. 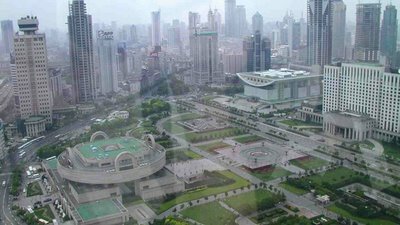 Above-28: In ChongQing, city of over 30 million people, I had two meetings, with China Mobile and China Unicom, both were interested about mobile services, especially technical part of it. Spicy food of ChongQing. 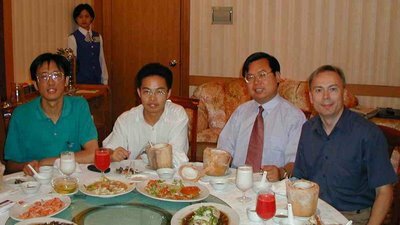 Above-29: Summer 2000, Fuzhou in Fujian seaside province. On the way to meeting at Fujian Mobile with Elaine Feng from Sohu. Fuzhou Airport is painfully far from the city center. Above-30: Summer 2000, Fuzhou, Fujian Province. Lunch time. 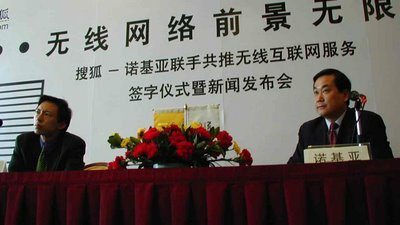 Above-31: In 2000, ShiJiaZhuang, Hebei Province. Meeting with mobile operator, Sohu's presentation, MoU signing. Trip from Beijing to ShiJiaZhuang, a 10M inhabitants city, took about 4 hours via highway. 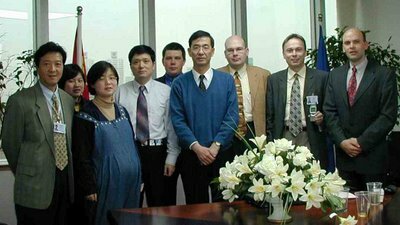 Above-32: SPT Infocom Forum'99 - Telecom and Information New Services, Shanghai. Big event where IP was talked. Above-34: August 2000. Flight from Beijing took over 3 hours. City is Haikou, Hainan Province. Above-35: August 2000, Haikou, Hainan Province. Colleagues. I returned Hainan for holidays, driving around and for Sanya beaches. Above-36: In 2000, HangZhou, Zhejiang Province. 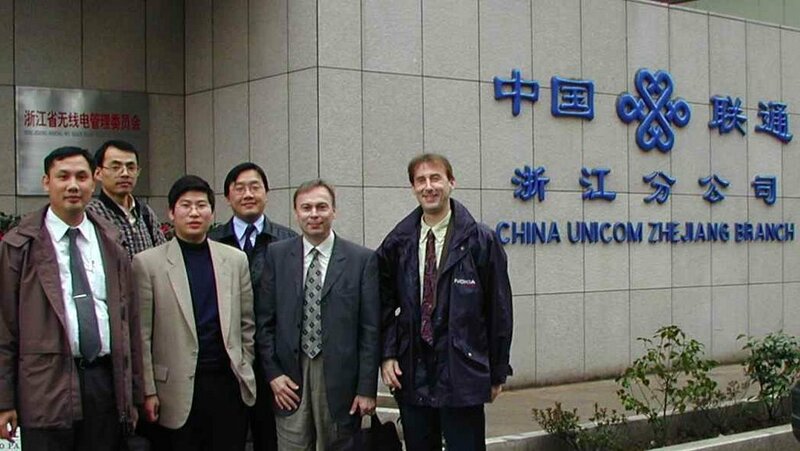 Early morning, our team before meeting with China Unicom. HangZhou is famous for West Lake and many small businesses. Above-37: June 30th 1999, Shenyang, Liaoning Province, north from Beijing. Lunch with Neu-Alpine (Neusoft) in software park. 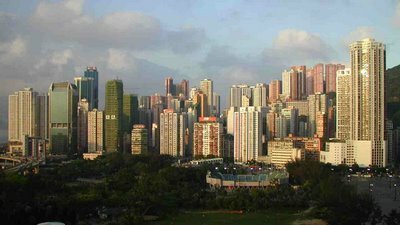 Shenyang is former steel city with 10 million inhabitants. Later we established JV with Neusoft. Above-38: July 1999, Nokia APAC Developer Conference'99 in Singapore, six hours flight from Beijing. 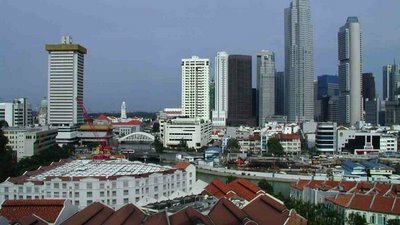 Above-39: July 15th 1999, Singapore. 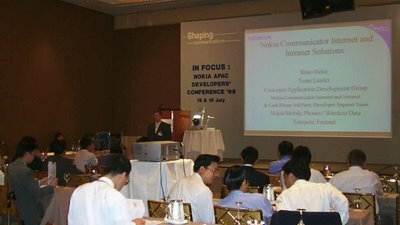 Nokia APAC Developer Conference'99. I joined this with group of Chinese developers. We relaxed in Sentosa island. Cable car, butterfly garden, monkey show, beach and sightseing train. Above-40: Singapore view, July 1999. Clean and lawful. And the weather was hot. Above-41: July 1999, Beijing. Dinner with Neu-Alpine in a goose head restaurant. I had three crispy half-heads with cold beer. 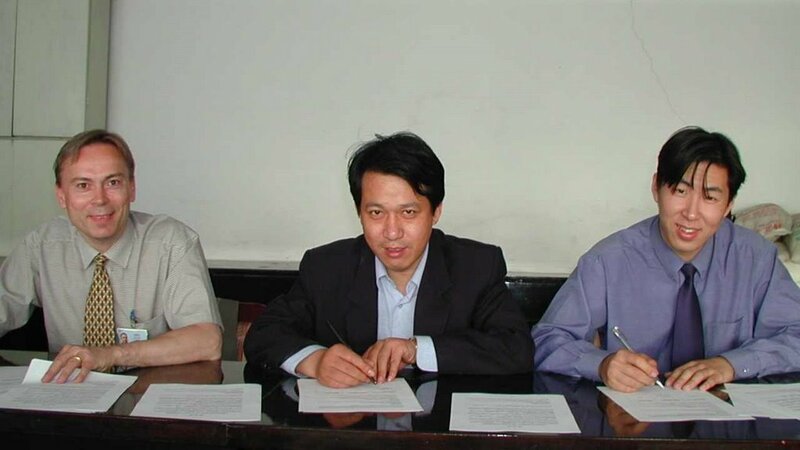 Above-42: July 4th 2001, signing papers in Hangzhou, Zhejiang Province. 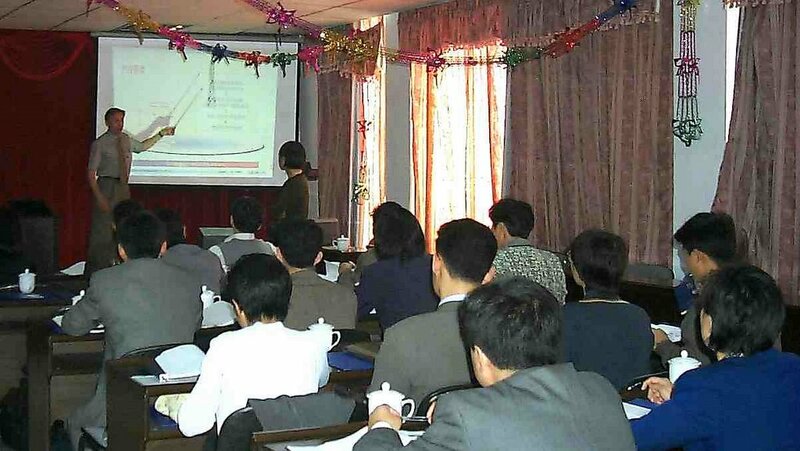 Hangzhou Technical University was interested about mobile services. Nokia had tools and information for developers and students. Above-43: July 4th 2001, Hangzhou in Zhejiang Province. Snake for lunch at Hangzhou Technical University. Above-44: Shanghai. Reflective view from Intrinsic Linktone's office at Harbour Ring Plaza in Shanghai. Round building is Shanghai Museum, good to visit, excellent. VALUE CHAIN AND SUCCESS. 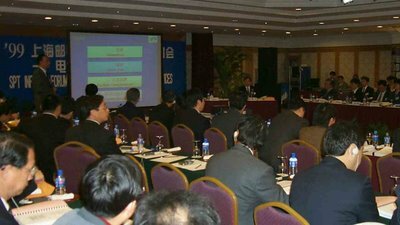 During SMS market-making project I met over 100 Chinese dotcoms, early service providers, emerging mobile games and applications developers, content providers, and many traditional, large Chinese corporations. Each of them wanted to take role in mobile services and we at Nokia supported that development. Some of those companies became leaders in Chinese market: MagusSoft, a creative pioneer in mobile gaming, Sohu.com portal, Linktone from Shanghai, more. Some had no clue what to do. Some had strong relations and wanted ideas. Above-45: July 20th 1999, Dalian in North-East China. Neu-Alpine's new software center soon ready in Dalian. It was a hot and windy day. Above-46: October 24th 1999, ZhengZhou, Henan Province. Presentation about mobile services and value chain for mobile operator. 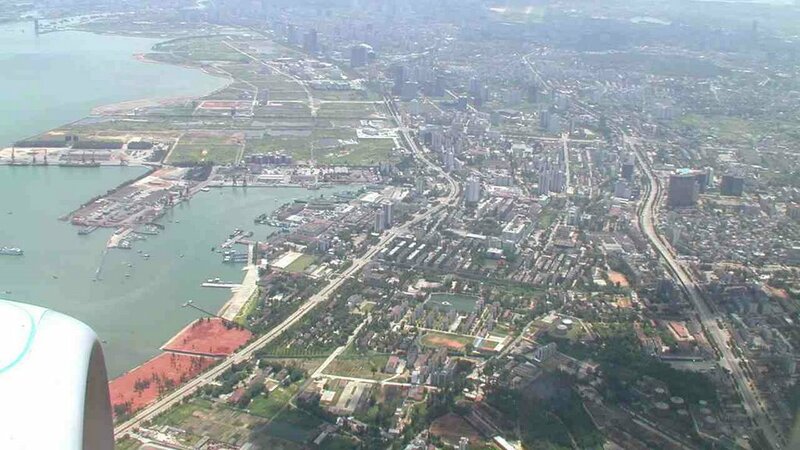 ZhenZhou has 10 million people, and Henan province 90 million. Above-47: April 3rd 2000, Beijing. We introduced mobile banking to several Chinese banks. BeijingMan's background is in mainframes and banking technologies. Above-48: May 18th 1999, Beijing. MCB-meeting with MII/China Mobile. Second from left my then boss Craig Johnson, straight and very clear. 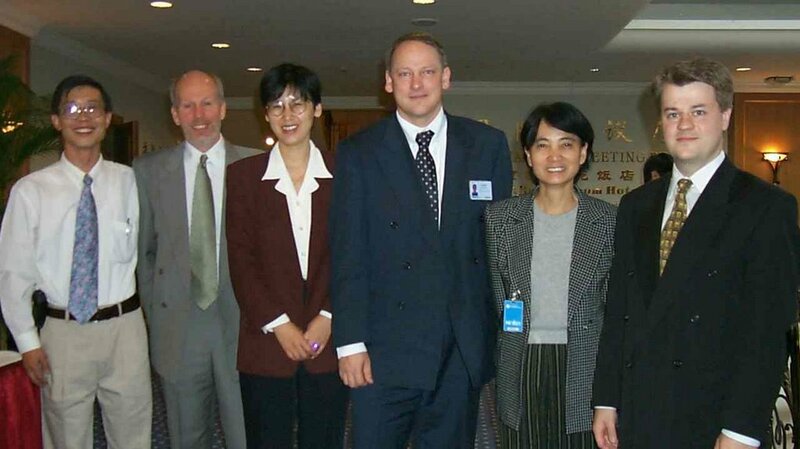 Madam Li MoFang (right) from China Mobile / Ministry of Industry and Information Technology (MIIT). Above-49: September 1999, Beijing. 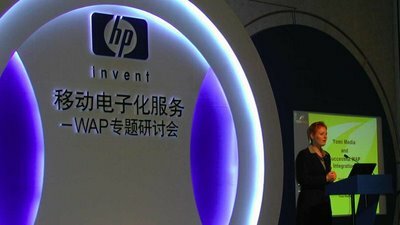 HP was interested about mobility. Yomi Media's Paivi Rapilo presenting. Above-50: October 2000, Shanghai. Sonera ZED had great ideas about mobile future. Later Sonera became part of Telia, Sweden, TeliaSonera. 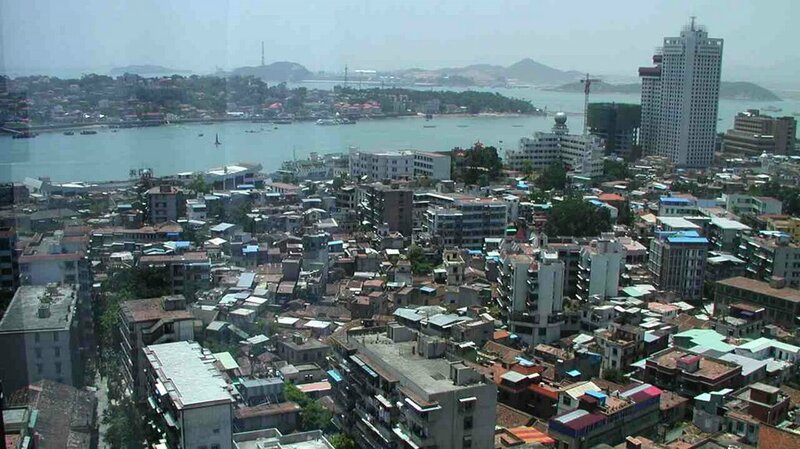 Above-52: In 2000, Hong Kong. WAP fever peeking. Everyone was interested about "internet on your palm" hype, while my project was about getting SMS into Chinese market. 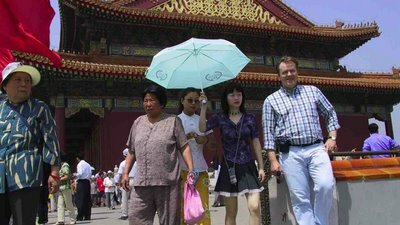 Above-53: May 2001, Beijing. For roaming, mobile services need technical solutions and agreements between operators. 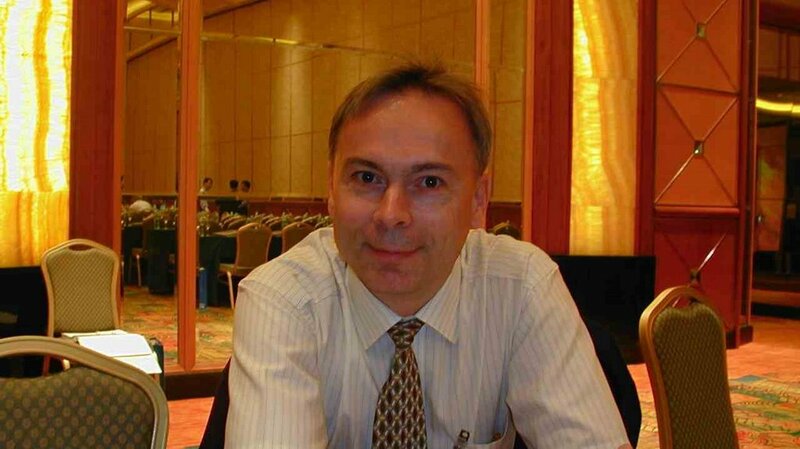 Sonera's Sam Ekblom visited Beijing to introduce GPRS roaming solutions. We did tourism in TianAnMen, Rost Room and Forbidden City. Above-54: September 5th 2001, Beijing. Related to booming ringtone business and IPRs we met Music Copyright Society of China, MCSC, royalty collector. Above-55: November 22nd 2000, Praha, Czech Rebulic. Visited Mobile Internet Conference, major European event. 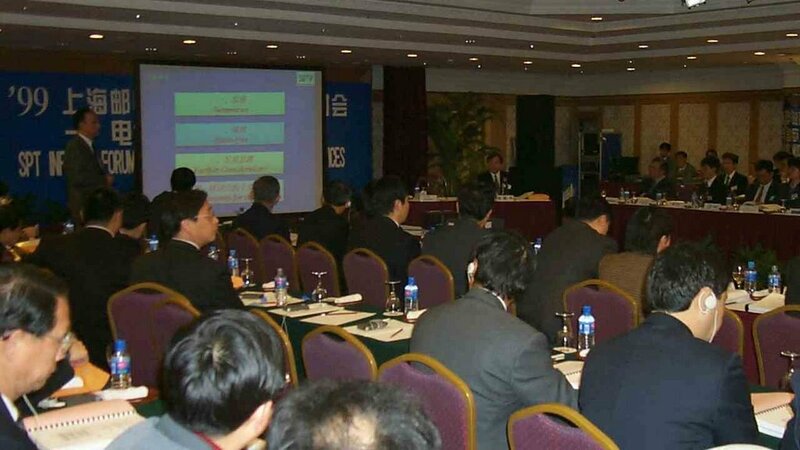 Large delegation from China participated this event, which had a presentation by VP of China Mobile. Above-56: February 22nd 2001, Cannes, France. Participated 3GSM World Conference and Exhibition. Conference was about 3G. Virgin Mobile's Richard Branson with Right now, Right here by FatBoy Slim. Above-57: February 22nd 2001, Cannes, France, 3GSM World Conference and Exhibition. Nokia advertizing 3G near Cannes conference center. In China 3G has been postponed to give time for TD-SCDMA get mature. Above-58: February 22nd 2001, Cannes, France, 3GSM World Conference and Exhibition. 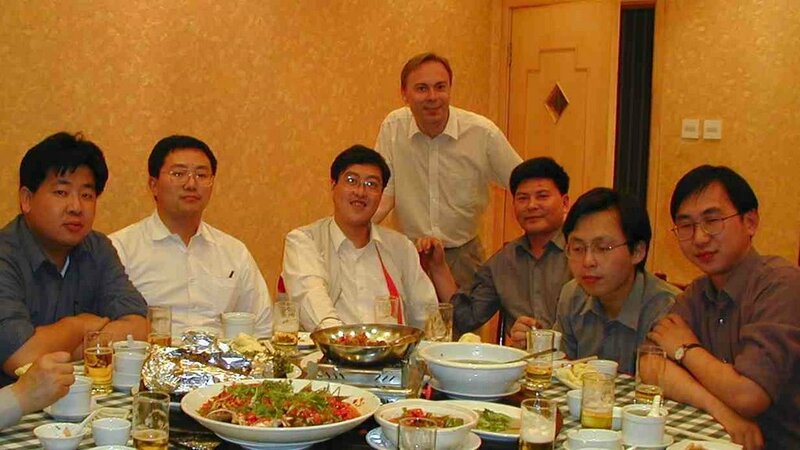 Nokia China President Urpo Karjalainen gave speech to large Chinese delegation during dinner in Nice near Cannes. Above-59: April 2001, Barcelona, Spain. Nokia Developer workshop. That city is all about modernist works of Spanish architect Antonio Gaudi (1852-1926) and Las Ramblas walking street. Above-60: April 2001, Barcelona, Spain. We made a dinner trip to a castle outside Barcelona. BREAST GROWING RINGTONES. 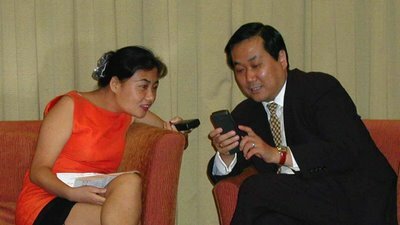 While sitting in Barcelona I couldn't imagine that 5 years later some in China would make sales success with breast growing ringtones, and that Chinese experts explain on TV that ringtones doesn't work that way. Breast growing RTs happened earlier elsewhere without experts explanation. Above-61: April 2001, Barcelona, Spain. Nokia Developers workshop. Dinner in a castle. Everyone seeks innovative services for mobile. Above-62: March 2001, Hong Kong. Nokia announcing 3G Applications Lab for developers. Above-63: SMS Market-Making Project in China was a lot of fun. But it was also planning, travelling, meetings, and a lot of learning. It took 1,5 years, till the end of 2000. It achieved its targets: Chinese got new way to communicate, and Nokia had the best texting phones in the market, good for the market share. Let's communicate!